I thought of you yesterday, Officer Collier, as I was headed for lunch near Kendall T. I regularly see folks visiting your memorial by Koch; we haven't forgotten you and think of you daily. May you forever Rest In Peace Officer Collier. Thank you for everything you have done, no matter how big or small. You are missed every day. No matter how many day's go by, I still think of you daily. I'm trying so hard to help the recruits the same way you helped me before I started. It's a struggle sometimes to keep fighting the good fight, but your support for me without even knowing me is a constant inspiration. I'm going to keep fighting. Remembering Officer Collier Every Day. Collier Strong! Boston Strong! Rest in peace. Thank you for your protection. I never knew you but you are a good man. Loyalty and devotion leads to bravery & Bravery leads to the spirit of self-sacrifice. Gone but will NEVER be forgotten!!!! NEVER! On November 3,2013 at the N.Y.C.marathon i wore the Boston Run To Remember memoral bib to honor Officer Sean Collier 179. Many Massachusetts runners said hello during our run. Good night, sweet dreams, Sean. Thank you for your service to all of us at MIT. It has taken me a while to write this. I first met Sean the first week he started as an officer at MIT. I was still working for IS&T at the time and was traveling on my electric scooter to a client appointment in BCS when I rode by Sean and Captain John DiFava at STATA. What I remembered most from the encounter was how curious he was about the scooter I was using to get to my appointments across campus. I remember a very congenial, curious, and friendly person who was eager to know the people in the community he was serving. I remember him telling me that seeing new technology like the one I was using was one of the reasons he was with the MIT police. Most police officers I have had the privilege of meeting have either instinctively, or as a matter of training, tended to be on the side of separation from the civilian community. Many seem to be more comfortable choosing to interact as little as possible with members of the community they are sworn to protect. Not Sean. I had one great encounter with a young officer who made a lasting impression on this IT professional. I still fondly remember thinking to myself if more police officers were like Sean, our world would be a much more awesome place. He was a member of our community. He was one of us. And we miss him. We lost a wonderful person 6 months ago. I salute Officer Collier and the people who played a role in his life to foster such a wonderful soul. My husband and I met him in Hull a couple of years ago when he was a summer cop there. Why a nice young man. We spoke about being police officers in NJ, and how he was working hard to get picked up someplace full time. Such a senseless crime. But he died doing the job he loved. Had he lived, he would have excelled in his job. The MIT Police have lost a great person. I was at MIT PD yesterday and all of the memories and emotions came flooding back to me. Sean, your family and your brothers at the MIT PD are always in our hearts and minds. MIT 179 will never be forgotten! You are still in our thoughts, every day. I drove down Vassar St. yesterday and the setting was so similar to the time you were talking to be on my crosswalk detail and a guy almost hit me so you immediatley ran his plate and followed him down Vassar. Thanks for looking out that day and always! You are missed everyday!!!!! Hey MIT PD. We see you every day and are rooting for you. I volunteered for and ran in Run to Remember to help heal but it's just so sad and heartbreaking today, worse than the day we found out. To Sean, his family, and PD brothers and sisters I don't know how to expressed my condolences. But I am so proud to live in Somerville now that Sean has a Somerville PD badge. Hang in there guys. We're all in it together in Kendall square, one day at a time, rooting for MIT PD. Thank you for your service brother. You are not in vain. I am so sorry to hear about your loss and I would like to offer you my condolences. I can understand your frustrations and pains in your heart with this world and why we should have hope because I used to feel the same way. But keep in mind that God is always there to keep us going and He will never leave us especially in times like this. 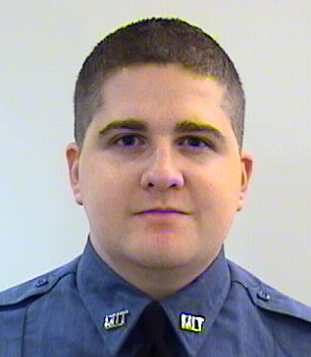 Rest in Peace Officer Sean Collier. You are now joined with your 19,000 brothers in Blue who's names are permanently carved on the Memorial Walls in Judiciary Square in Washington D.C. On August 5, 2013 you will be remembered and recognized by the Officer Harold L. Vitale Memorial Fund, Inc. at a gathering at our Memorial golf tournament held in Officer Vitale's honor (EOW 6/18/85, Saugus PD, Badge #17) some 27 years after his death. He is not forgotten and you will not be forgotten. We thank you for your service and sacrifice. You actions and your professionalism remind us all about the dangers of the job, and you also remind us why freedom is not free. Our condolences to your family. You are a true American Hero. Thank you. Well done Officer Collier, well done. The members of the Officer Vitale Memorial Fund.